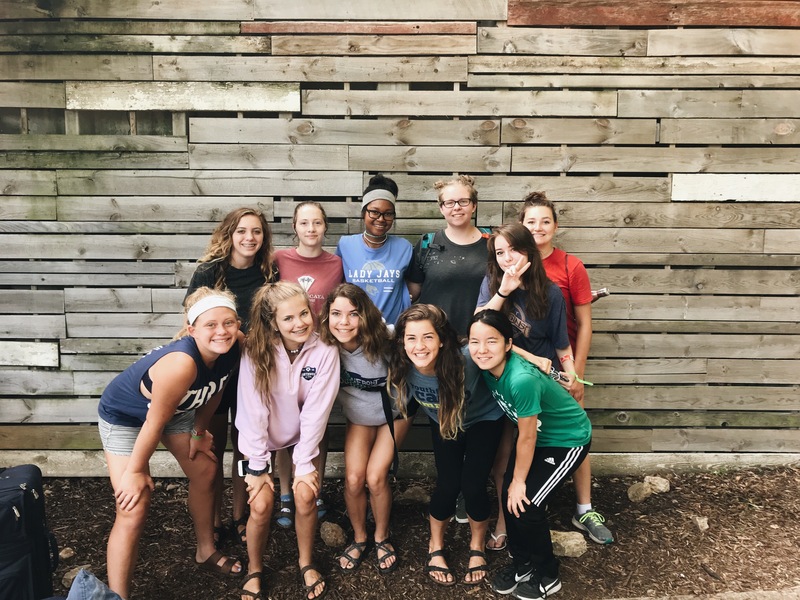 As Youthfront is gearing up for the 2019 summer camp season, Emporia State University student McKayla Brady has been reflecting on her time as a cabin leader at Youthfront Camp LaCygne last summer. 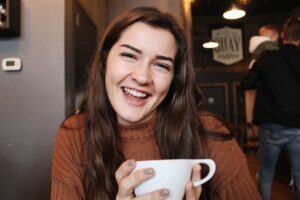 Already committed to returning to Summer Staff for 2019, McKayla is excited to come alongside her future campers in spiritual growth and friendship. The spiritual growth and community that I found [last] summer was amazing. That I have a hard time forming deep relationships with people past the surface level conversations. I was a cabin leader and formed amazing friendships with the staff and even with some of my campers as well. What are some of the challenges kids your age face today? I think social media is a huge problem for kids these days. It allows for constant comparison, which is very unhealthy. That I’m not adequate for some positions I’m in, such as a cabin leader, friend, or soccer player at Emporia. Yes. Like I said, I was able to form deeper relationships and had a meeting with a friend and my boss about how I need to feel more adequate and doubt my abilities less. Yes. Peer pressure tends to affect me a lot because I hate when my opinion gets in other people’s way. So sometimes doing my own thing can be tough (but worth it). If someone asked you what Youthfront was, what would you say? A place for youth and staff to grow in relationship with the Lord and community with one another. What is the greatest lesson you’ve learned from participating in YF programs? In order to have genuine relationships with others, you have to genuinely care for them and not what you can get out of the relationship. I had a pretty closed mind about what the Bible was and who God is. I think I’ve begun to view Him as a more loving and relational being as I talked with so many people this summer about their faith journeys and opinions. Do you feel like Jesus is more real to you since you’ve been involved in Youthfront programs? Yes. I saw His work in peoples’ lives all summer including mine, so it made me feel more in touch with Him. The opportunity to get so close with other people my age who have the same struggles I do. Why do people in our communities need to know about Youthfront? It’s an amazing place for growth and forging friendships.